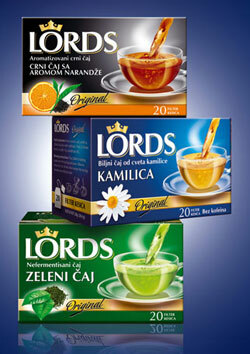 Many years of experience in working with herbs and herbal-based products combined with the current trends in the tea and herbal tea industry has enabled the BILJE BORČA company to develop the LORDS line of teabags. In cooperation with consultants from the USAID Agro-business project, a new range of teas was prepared which could hold its own on markets both in Europe and America. The aim was to create a product whose appearance, taste and price-quality ratio would be attractive to customers with middle as well as high purchasing power. 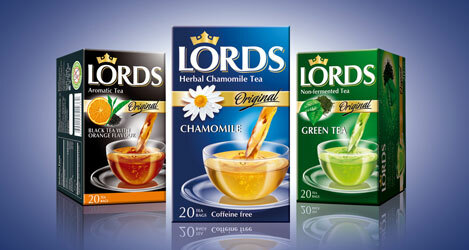 As a result, the LORDS brand was created. an excellent price-quality ratio as a result of the company’s other activities – BILJE BORČA is one of the biggest suppliers of raw plant material to food and pharmaceutical industries in Serbia and the surrounding region, i.e. the company grows the raw materials it uses in its teas and hence has the highest quality raw materials available to it at the most competitive prices.